Ukraine broadcaster NTU have met today to begin planning for Eurovision 2017, and one of their first tasks was to propose new dates for the shows, with the grand final now having the provisional date of 13 May 2017. The EBU’s original provisional dates for the 2017 competition were 16, 18 and 20 May 2017. But now host broadcaster NTU are wanting to shift it one week earlier, with the shows held on 9, 11 and 13 May, and the general event held from 30 April to 14 May. Any time is a good time for dancing! The EBU originally chose its provisional dates at the Head of Delegations meeting back in March. The dates were carefully selected to avoid clashing with things like major sporting events that might detract from the potential Eurovision audience. However, the host broadcaster has the right to request changes to the dates, subject to approval from the EBU. As always, don’t go booking your flights yet! It’s not uncommon for host dates to be changed. In July 2014, Austrian host broadcaster ORF announced that the dates of Eurovision 2015 would be moved to one week later than originally proposed. The EBU has approved the proposed change almost immediately, saying that the new dates suited the EBU for “technical reasons”. Will the EBU be as quick to respond to NTU’s changes this year? Or is there more to consider? NTU is also estimating that Eurovision 2017 will attract entries from between 38 to 43 countries. So far 20 countries have confirmed their participation, and we know that Brexit won’t prevent the UK from entering. What do you think? Should the dates of Eurovision 2017 be moved one week earlier? Share your thoughts below! It so happened that I was born and I live in Russia and there is not a single second I regret about this. So I don’t “smell” it, I am Russian. On the other hand I am Ukranian for 1/2 by origin and 1/4 by nationality. 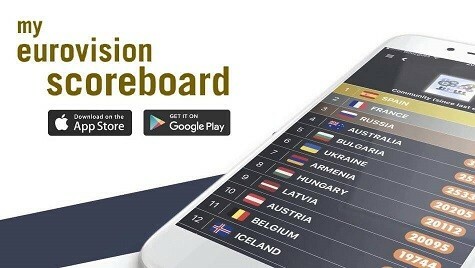 What are the countries already confirmed to participate? Awesome, great idea. If it is one week earlier, we will be done faster. So it is a benefit for everyone. You don’t mean to say that Ukraine is a not post-soviet country, do you? I want Eurovision one week earlier:) It`s good decision because 20 th May is near the final of UEFA Champions League. 13 rd May is safe date. @Ivan: Studies always come first … focus on those! This is a song contest, not a screamy-girl-boyband-concert. @Helloitsme: Why would anyone start preparing anything before the official dates are set publicly? There is life outside of Eurovision so focus on it again … maybe in 2017 as it should be. Calm down … pretty sure u can breathe until the next edition. Plum, actually, the date of memory across the world is 8th, so it’s rather ‘problem’ for post-soviet countries which used to be very sticky about it. @Misio Oh, ok. That is a problem, indeed. No matter how many years pass it is a day of both Victory and Memory for Russia. We have tears on this day. And this is one more reason why I want Russia to ignore ESC 2017. It’s a special date… Never in the recent past this date was used for events like this. It would be better if they move it in June instead. The champions league final will be played on 3 June, so that is not a problem. My dream to meet Wiwibloggs team has crashed apart. When Eurovision held in our country, almost all Ukrainian teens will take their exams and if you don’t pass it, you can’t enter the university. I don’t think that Ukraine would win in 2017 or next 5 years, so these changes aren’t very good.